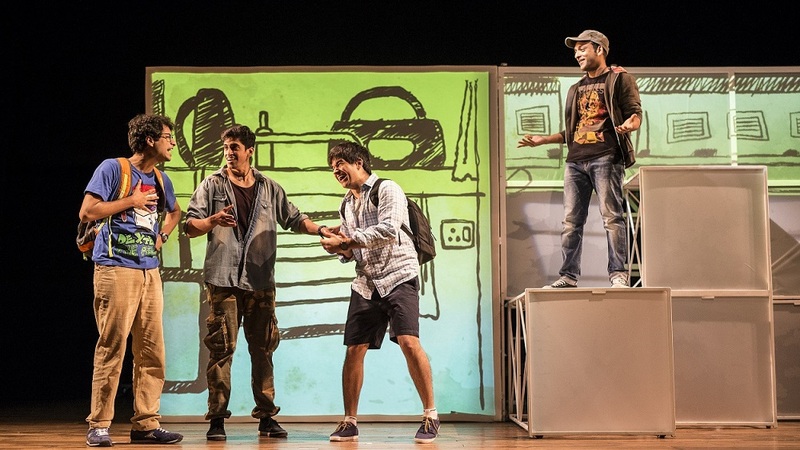 Adapted from Keith Gray’s Ostrich Boys, Akarsh Khurana’s play is all about coming of age and coping with loss…. When you think bro-mance, Dil Chahta Hai and Zindagi Na Milegi Dobara spring inevitably to mind. 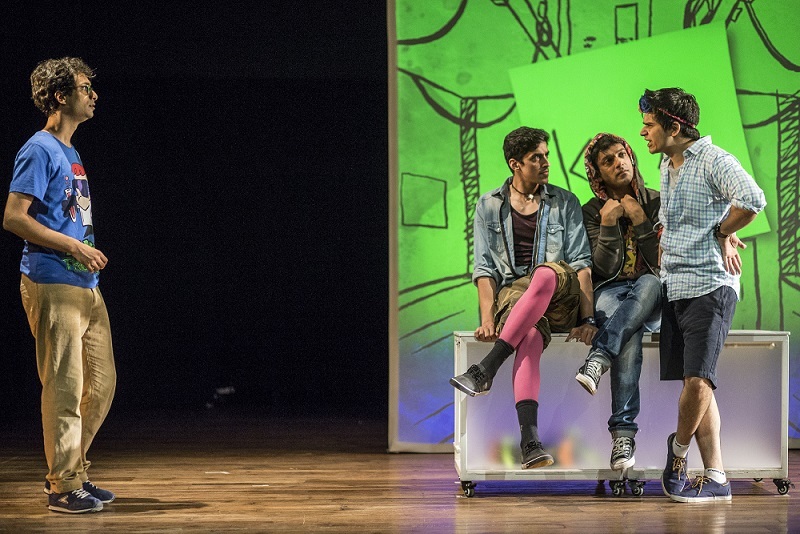 In a completely different vein and in a different genre, Anand Express creates the nuances of friendship on stage and raises the question, “How far would you go for your best friend?” The Rage Production presentation, which is directed by Nadir Khan and adapted for the Indian stage by Akarsh Khurana, is based on the original theatrical version by Carl Miller which in turn was a dramatic rendition of Keith Gray’s Ostrich Boys. The plot: This is a coming of age tale, bittersweet, humorous but with tragic undertones. Placed firmly in the Indian – and more particularly Bandra — context by Khurana, it is easy to connect with on different levels. At first glance, very simply – there is a quartet of friends: Neeraj, Wasim, Kenny and Anand. The fourth dies and the remaining three, overwhelmed by the grief of their loss, set off on a journey to fulfil his desire of being ‘Anand in Anand’. As their journey unfolds, especially as they reach close to their destination, the story brings to light disturbing and distressing undercurrents encompassing emotions like fear, betrayal and guilt. Its non-linear progression adds to the drama. To say more, would be a spoiler alert; instead you should just join them in their breathless journey. For it is a play that will draw in the young – who will identify with it completely – and the young at heart who will be taken back to their good old days! 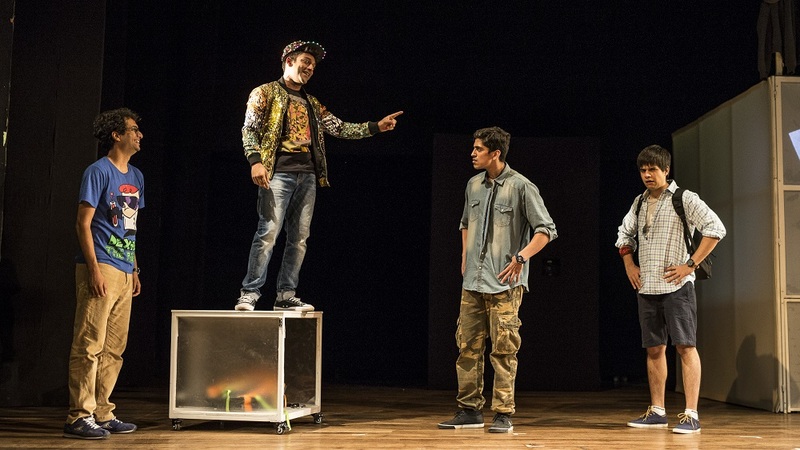 The actors: The four – Sukant Goel, Chaitanya Sharma, Siddharth Kumar and Vivaan Shah – play their roles to the hilt, with an exuberance and passion that is so characteristic of late adolescence. 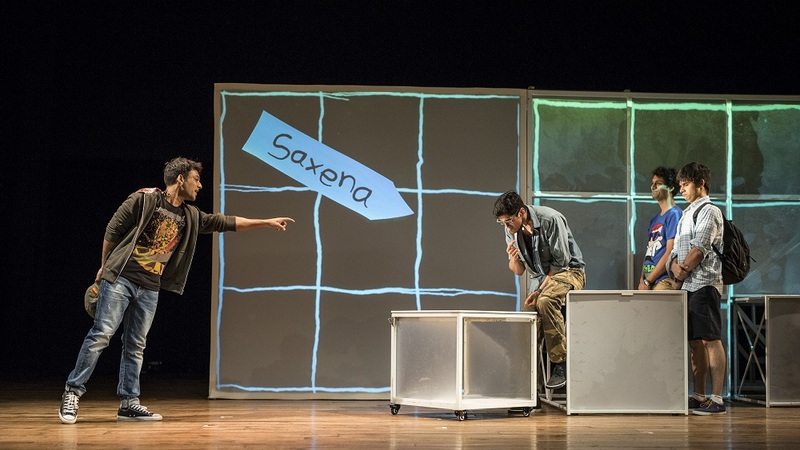 Their on-stage chemistry works in their favour as not only do they play their appointed roles, but also slip into other ones on their journey from Mumbai to Anand, and this is done swiftly and convincingly in the audience’s plain sight. Watch out for their gender-bender appearances, as three of them don the avatars of young girls. The set: The stage is simple, almost minimalistic, with a huge Rubik cube like structure on it, with movable cubes and frames. The actors use this space (as well as the entire stage) effectively as the story line demands and it provides the ‘screen’ to play videos, show notations and scene changes along the way. Avid theatregoers will find it a sharp contrast and relief to conventional stage settings. The Aadyam Experience: It believes in nurturing talent and fostering the relationship between the audience and the creators of art. 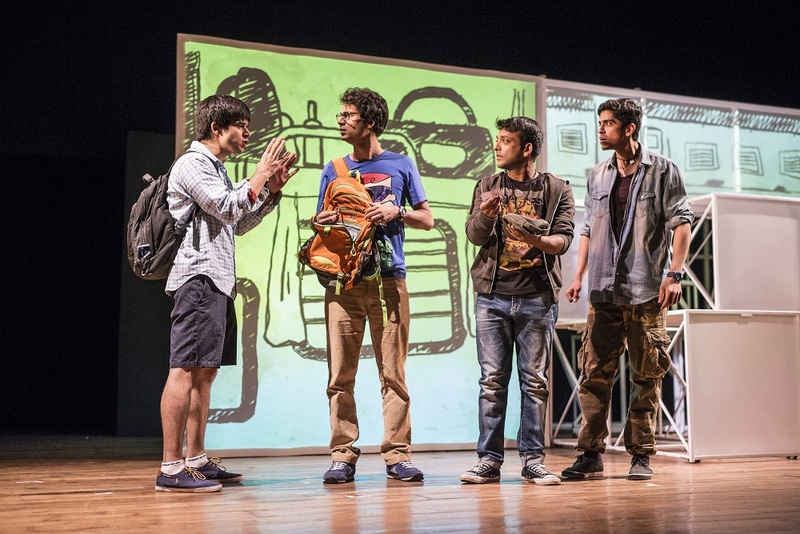 In its third year, Aadyam Theatre, an Aditya Birla initiative, has returned to the halls with a bunch of productions. Under its aegis, theatre lovers can enjoy a gamut of emotions, characters and tales in a basket of offerings. These include Guards at the Taj, Gajab Kahani, Bandish, Anand Express, Mother Courage and Her Children, Under The Gypsy Moon and 3 Penny Opera.